These cards still work with the standard EMV readers which can be found at most of the stores. Move over ‘swipe-to-pay or Chip-and-PIN, because, MasterCard on Friday announced its latest invention: A new credit card with an integrated fingerprint sensor to fight against in-store fraud. This new kind of cards includes a sensor embedded in the plastic of the credit cards. It allows users to authorize payments with their fingerprints, which means there’s no need for signature or PIN. You just have to put the card in the reader and hold your finger to a section of the card where your template is stored. Up to two fingerprints can be stored on the card’s EMV (Europay, MasterCard, Visa) chip. These cards still work with the standard EMV readers which can be found at most of the stores these days. Although the card is enabled with fingerprint as a security which is an obvious advantage, there are incidents where fingerprint sensors have been bypassed or hacked. Moreover, fingerprints can also be forged or faked. Another obvious disadvantage of these cards is that users cannot save anyone else’s fingerprint, but of their own, meaning the users are unable to share the cards with anyone else. 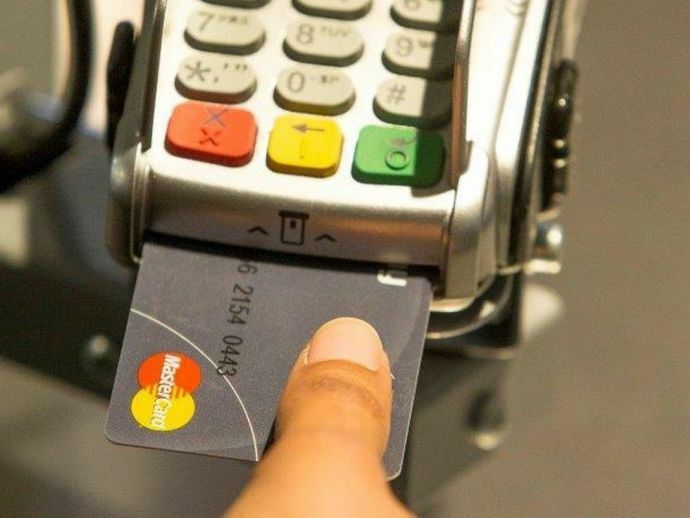 Currently, MasterCard is running trials for the newly invented fingerprint credit cards in South Africa, and it also has plans to commence the trials in Europe and Asia in the near future.